The recent simplified amendments to the Cyprus Permanent Residency by Investment (PRP), have proven widely successful in attracting investment into Cyprus from foreign nationals. The main reasons for this is Cyprus’ geographical location, stable economy, favourable tax regime and robust legal system based on English common law, good education and proficiency of English language as the preferred business language. As well as high standard of living, low crime rate and reasonable property prices and 320 days of sunshine, making Cyprus a preferred PRP jurisdiction. Here below are frequently asked questions (FAQ’s), pertaining to the Cyprus Permanent Residency Permit, intended to give clarity to those considering the Cyprus PRP. (1) Is the applicant of a PRP required to be present in Cyprus prior to the filing of a PRP application? No, the PRP application can be processed in the applicant’s absence and filed on his behalf by virtue of a power of attorney issued by the applicant in the name of a local lawyer for this purpose. In the event that the client has provided an agent with a Power of Attorney (including the right to sub-delegate his powers under such document), then S&A may receive a Power of Attorney from such Attorney. (2) Once issued, is the PRP renewable? No, the PRP is granted for the lifetime of the applicant, provided the conditions for its issue are satisfied. (3) How can a PRP be revoked? Are there any conditions for maintaining a PRP? The residential property purchased for the purposes of the PRP application is sold and not replaced with another “first time” sale residential property with a minimum acquisition cost of €300,000. (4) What type of immovable property qualifies for the purposes of a PRP application? one apartment/house and one office of up to 250 square meters. 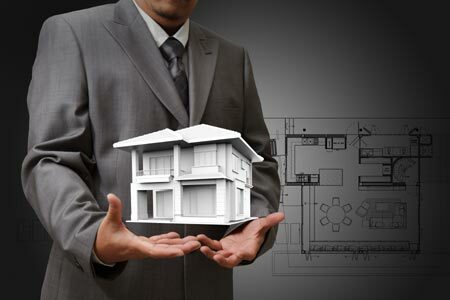 Where the PRP applicant purchases two properties, for the purposes of the PRP application the said properties must be purchased from the same developer. For the purposes of filing the PRP application, the PRP applicant is required to evidence purchase of the immovable property(ies) (irrespective of the date of delivery), and payment of at least €200,000 at the time the application is filed, with the remaining €100,000 to be paid afterwards. Payment of the full amount is required to be transmitted to a bank account held in Cyprus at a financial institution of the seller. Property purchased previously by the investor may be used for the purpose of PRP application, if all criteria relating to such investment have been complied with. Property may have been purchased through the CY/EU based company of the investor. In the event that the property has been purchased previously by an offshore company of the investor, which is solely owned by the investor and such property is transferred to the CY/EU Company of the investor then this may be accepted, if all other criteria have been complied with. (5) Can the Ministry of Interior discover whether the immovable property(ies) purchased under the PRP application have been sold? Yes, the Department of Migration conducts periodic checks through the local Land Registries to establish whether the PRP holders continue to own the relevant properties or whether the properties have been sold. (6) Can a PRP holder travel freely within the EU without any additional visas from the country to be visited? No, a visa from the EU country to be visited will still be required for a Cyprus PRP holder. The PRP however does allow the holder to avoid Visitor Visa requirements within the EU. EU member states apply their own regulations for allowing the entry of PRP holders. However, by virtue of acquis communautaire, EU and EEA states are legally bound to respect the PRP issued by an EU member state and to enable the holder to enter the visiting EU or EEA country, legally. (7) Who collects the interest earned on the 3-year fixed deposit of minimum €30,000, which is pledged for the purposes of acquiring a PRP? Any interest earned is income of the deposit holder i.e. the PRP holder. (8) Can a PRP holder work in Cyprus? No, The PRP holder’s annual income, which must be at least €30,000 plus an additional €5,000 for each dependent and €8,000 for each parent, must emanate from sources outside of Cyprus. At the application stage, the PRP applicant signs a statement confirming his intention to not be employed in Cyprus. The PRP holder’s annual income may comprise of dividends of a foreign and/or Cyprus company or salaries from employment outside of Cyprus, or pensions, or rents from abroad or interest on fixed deposits, wherever they are situated. (9) What are the certification requirements for documents filed in support of a PRP application? At the Ministry of Foreign Affairs of the issuing country andthe diplomatic mission of the Republic of Cyprus in the issuing country or the diplomatic mission of the issuing country in the Republic of Cyprus. (10) What are the supporting documents required to be submitted as proof of the PRP applicant’s source of annual income? Confirmation from the bank on interest received from funds deposited on the bank account. As a general rule bank statements showing the source of any income are mandatory. (11) How long must the amount of €30,000 deposited in a Cyprus Bank remain in place? Can it be deposited in any other currency? The Regulations provide that the amount of €30,000is fixed for three years. It is also possible for the amount to be in a currency other than Euro; provided the total value of the deposit is the equivalent of €30,000 at all times during the three year lock-in period. The interest rate applied to the fixed deposit depends on the terms of offer of each eligible bank. The beneficiary of the interest accrued is the depositor/applicant. (12)Can the PRP holder release the pledge on the €30,000 deposit, at the expiration of the three-year lock in period? Yes, at the expiration of the three-year lock-in period, the PRP holder can freely transfer the €30,000. The PRP holder is required to maintain a bank account in Cyprus for the duration of the PRP, as proof of his ability to financially support himself and his dependents without being employed in Cyprus. (13) What is the age limit for adult children of a PRP applicant to join in a PRP application as adult dependents? The PRP issued covers the holder’s spouse and children up to 18 years old, as well as the main applicants’ parents. Adult children of the PRP applicant between 18 and 25 years old can join a PRP application provided they are students or undergraduates. (adult children between 18 and 25 years old who are not students or undergraduates cannot join their parents PRP application). Married children of PRP applicants between 18 and 25 years old, that fulfil the criteria can join their parents’ application, however their families cannot. The said permit is still valid even if the holders have exceeded the age of 25 and even if they do not remain unmarried and/or students and/or financially dependent on their parents. It is noted that their future spouses or underage children cannot be included as dependent persons on this permit. Adult children of the PRP applicant who are not financially dependent on their PRP applicant parents can also join in a PRP application, provided the value of the residential property invested in is increased by €300,000for each adult child added to the application. For example, for an adult child of 30 years old who is financially independent to be added in a PRP application, the PRP applicant is required to purchase a residential property of €600,000 etc. In such an event a confirmation of payment for the 66% of the acquisition cost of the residential property must be submitted with the application (e.g. €400,000 for a property with an acquisition cost of €600.000). Additionally, the adult child, financially independent of the PRP applicant is required to demonstrate a secured income of at least €30,000 derived from sources outside of Cyprus and to maintain a three-year fixed deposit of €30,000. (14) How soon can a PRP be issued from the day an application is submitted? A PRP is issued within two months from the date the application is submitted. (15) How can the PRP holder receive the permit once it is granted? The PRP holder should visit Cyprus at any stage within one year from the date of issuance of the PRP to receive such a permit, (in order for the authorities to obtain his biometrics) and subsequently every two years thereafter. (16) How can S&A assist in obtaining a PRP? S&A can assist with all aspects of the PRP application, including preparation and filing of the relevant application and supporting documentation, the opening of a bank account, and with an introduction to suitable real estate agents in Cyprus. The affiliate law firm of S&A, Dionysiou & Partners, can assist with the drafting of the agreement for acquiring immovable property and advise you on all legal matters relevant to the PRP application process. (17) Can dependent adults between the ages of 18-25, who have finalized their studies or are not studying, join their parents’ application? No. The law strictly refers to students or undergraduates. An adult who is not a student cannot join his parents application, irrespective of whether he is or isn’t dependant on them. (18) How does a dependent (already) studying in Cyprus (or planning to study in Cyprus) join the PRP of his parents? In the event that the child is a student in a higher educational institution of the Republic, he must submit an applicationfor obtaining a temporary residence permit in the Republic as students under the relevant legislation (EU Directive). After completing his studies in Cyprus he will be able to submit his application for obtaining a PRP, regardless of his age at that moment, with the sole requirement being hat the parents present an additional annual income of € 5,000. In the event that the child plans to attend a higher educational institution of the Republic, after having obtained a PRP on his parents’ application, said PRP shall be revoked and a temporary residence permit in the Republic shall be granted. After completing his studies in Cyprus the PRP shall be re-issued to him, regardless of his age at that moment and with no further requirements to be fulfilled. (19) What options does the applicant have in the event it is difficult/not possible to obtain a “recent” original birth and marriage certificate in his jurisdiction, or if only 1 original of these documents has been issued? In this event the applicant can have a copy of the original document translated and duly legalized. This copy along with the original document shall be presented to the authorities who shall make a note that the original was presented to them. The original shall be returned to the client instantly. We are a market leader in the Residency and Citizenship practice area in both Cyprus, Malta, and Canada. With over 15 years of experience in the sector and 100% success rate in processing citizenship and residency applications. As a leading immigration services specialist, we assist High Net Worth families from Europe, Asia, Africa and the Middle East, with their immigration needs.